Good news: After solid testing (4 beta versions and 3 release candidates) WordPress 3.3. “Sonny” is available for download. As for me, it was ready for use in production environment from Beta 2. Yes, I installed and used WordPress 3.3 here at shinephp.com from the Beta 2. It helped me to resolve the issue, which I met from time to time under previous WordPress versions: when some large (2-3 screens) and complex (images, links inside) post content was not shown, only title was seen on the page. 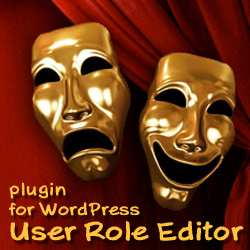 I was very happy, when tried WordPress 3.3. Beta 2 and discovered that such weird thing was dissapeared. That’s a miracle! So, welcome WordPress 3.3. I like you, in general. I wrote a few words about main new features of this WordPress version here. In short, there are drag-and-drop uploader, hover menus for the navigation, the new toolbar, improved co-editing support, enhanced context help system, etc. What I really don’t like in the new admin back-end menu toolbar, it is that logout link at top right corner is moved to submenu. So, in order to logout you should open submenu 1st, and only then click on the logout link. Let me know how often do you edit your own user profile? For what purpose I should see the link to my user profile every time when I need to logout? May be in case I forgot who am I? For that reason I see my avatar in that submenu too? Do you like this change? So don’t wait, just update! :). 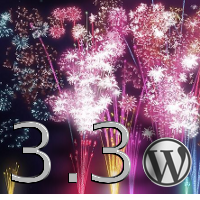 And tell your friends – WordPress 3.3. is available. It is waiting for you. What the reason to use the older versions? Update now. This entry was posted on Wednesday, December 14th, 2011 at 13:09	and is filed under WordPress. You can follow any responses to this entry through the RSS 2.0 feed. You can skip to the end and leave a response. Pinging is currently not allowed.